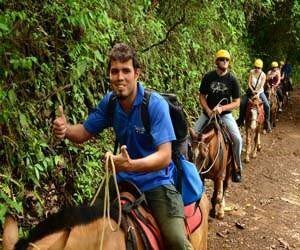 Horseback riding is perhaps one of the best ways to Explore the primary and secondary forests of this breathtaking place on the pacific slope of Costa Rica, we have some of the best horses and the best views in the area. Come to Our Horse Riding tour and discover nature at its best in these exclusive and private horseback riding expedition. 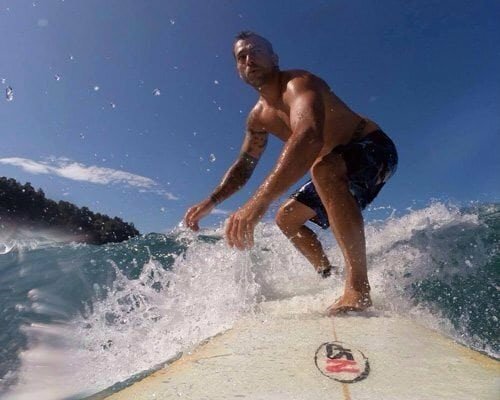 The tour begins in our beautiful Costa Rica Herradura or Hermosa Beach base just 10 minutes from Jaco, once you get going to be ready to leave on your trip, to waterfalls and pools. What to Expect from our Horseback Riding Expedition ? You are not only going to enjoy our horseback riding tour, but also along the way you may have the opportunity to see some great wildlife, such as macaws, white faced monkeys, toucans, two teo slow, as others. On arrival at the swimming area we will set some fresh tropical fruits and water, and you will have some time to hang out and enjoy the waterfalls and natural toboggan. perhaps one of the best ways to discover the wonders of the jungle, Offering some of best the horses and the Unforgettable views in the area saving, enjoy nature at its best in our private and exclusive property of 80 hectares, where you can enjoy your own private waterfall. We offer two great options of horse. The tour begins in our beautiful Costa Rica Herradura based just 10 minutes from Jaco Beach and Los Suenos Marriott Costa Rica. Once you arrive, we will equip and then go on our trip to the waterfalls and pools. Along the way, you will see the farms and get a close look of nature that begins the climb through the rainforest. When you get to the pool, your bilingual guide will give you energy fresh fruit and water and have some time to relax and enjoy the waterfalls and natural water slide.